The Sonoran Desert of Arizona and northern Sonora, Mexico, hosts some of the wildest and most intriguing geology in the Southwest. 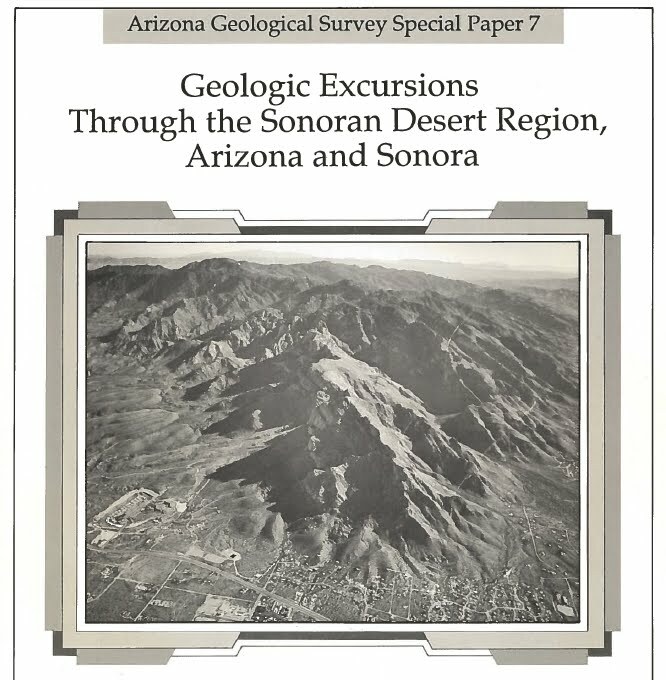 In March 1990, the Geological Society of America’s Cordilleran Section met in Tucson, Arizona, to review fresh geologic research and to visit a broad suite of geologic settings. 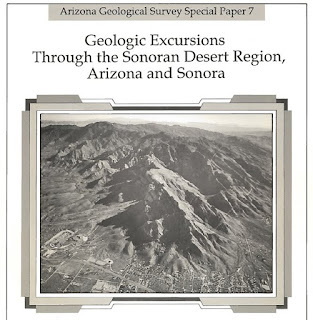 The field trip guides from 19 field excursions – 5 in north-central Sonora, Mexico, and 14 in central and southern Arizona – are reproduced in the Arizona Geological Survey’s Special Paper #7, Geologic Excursions through the Sonoran Desert Region, Arizona and Sonora’.